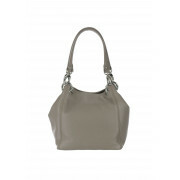 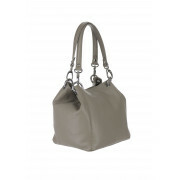 Maxima present this neutral grey shoulder bag which would be a luxurious accessory to carry for day or night. 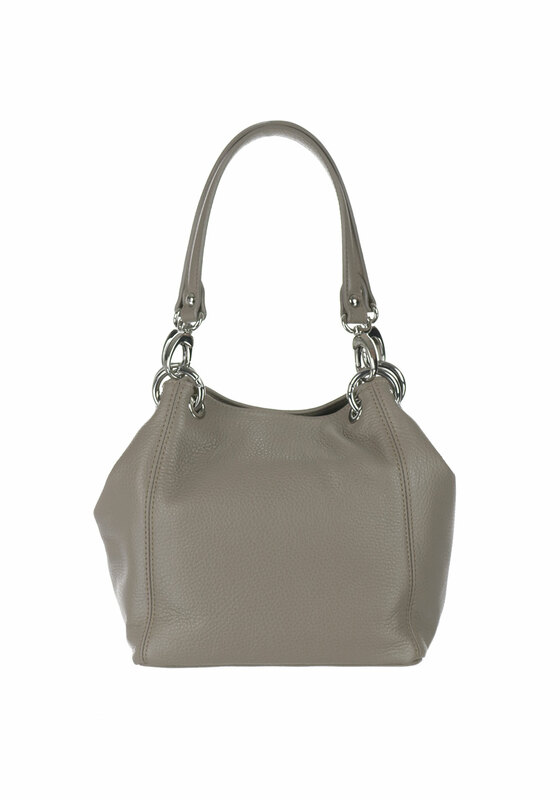 Designed with a compact yet roomy bucket shape and made from beautifully soft textured leather. 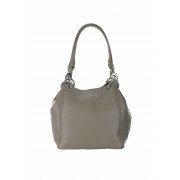 Details include detachable handles and a snap button fastening at the top.